Gun Runner polished off a nearly $16 million racing career last weekend with a victory in the Pegasus World Cup. As he heads off to stud, it's fair to ask where he might rate in a recent historical perspective. In this edition of The Friday Show, Scott Jagow and Ray Paulick discuss Gun Runner's resume as it compares to the likes of other recent dirt champions like California Chrome, Arrogate and American Pharoah. Plus, a new study says female jockeys are equal to their male counterparts if they are given the same opportunities. A discussion about that subject and France's policy of giving weight allowances to female riders. 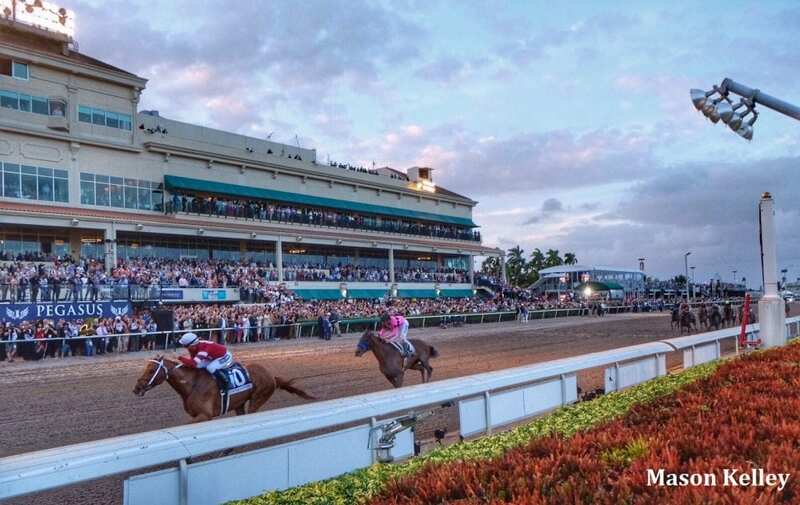 This entry was posted in NL Article, Ray's Paddock, The Friday Show, Videos and tagged american pharoah, arrogate, Cal Racing Cares, California Chrome, female jockeys, Friday Show, gun runner, Julie Krone, Ray Paulick, Scott Jagow, The Friday Show by Paulick Report Staff. Bookmark the permalink.